Are you searching for the best drink in town? Look no further, the health benefits through drinking clean, fresh water are many. For those who wish to lose weight, stay hydrated and improve their general well being, water is simply the only choice to make when it comes to refreshment. Fantastic for aiding in removing toxins and waste from your body, water is truly the only drink we ever need to consume. Studies have shown that increasing your intake of water not only provides many physical benefits, it actually improves your mood. Many of us already know that this is because our bodies are made up of approximately 55% to 78% of water, depending on the size of your body, but did you know that water assists your organs to absorb vital nutrients? There is no two ways about it; water is the best drink in town, so now you need to ensure that the water you drink is the best quality possible. Thanks to the internet it’s much easier now to find what we are looking for and to organise purchases right from our very own homes or offices. There is a multitude of businesses now that provide their customers with an easy online experience to assist with finding the information they wish to find and to order their products. 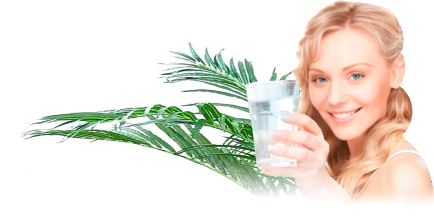 Finding a supplier of water purifiers and filters in Brisbane is far simpler than it used to be. But how do you sort through them all to find the best? Reputation and longevity in the field is always a good sign that a water supplier is the right one. Placing your trust in a company that has only been in operation for a short amount of time may prove disappointing as they may lack the experience or ability to provide you with the service you hope to expect. Finding a company that has been operating for a good length of time proves its commitment to providing water filtration and water products and also its commitment to fantastic customer service and satisfaction. A business that is family owned and operated is usually more likely to value loyalty and its clients for without clients, a business would not survive. Keep an eye open for suppliers who recognise the importance of providing the cleanest drinking water possible and who offer a range of products such as water coolers, bubbler stations, bottled water and more. If you feel like you are ready to contact a local Brisbane supplier of water purifier and filters who provides all of this with prompt and efficient service, please call 1800 292 837. This entry was posted in Office Water, Water Health and Safety (OH&S) and tagged water purifier by Teala. Bookmark the permalink.